What's supposed to be a casually rugged, eclectically elegant Southwestern interior can end up looking like something out of a comic book if you go overboard with color, accessories and effects. An advantage to this style is that you don't have to overspend for walls, windows, furniture and accessories that pull together a comfortable and timeless -- not staged and animated -- design. 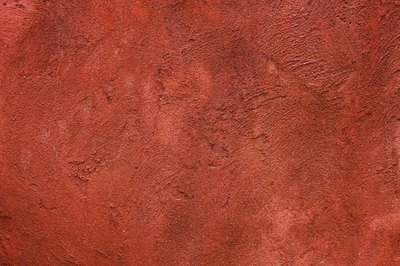 Although clay plaster or brick walls suit Southwestern and Santa Fe design, they're costly, especially when you pay a pro to do the job. 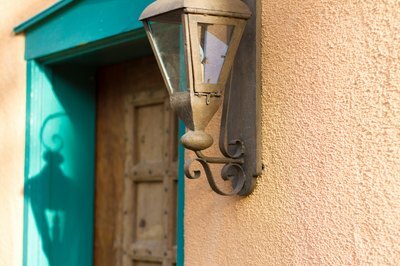 An inexpensive alternative to these applications is clay- or brick-colored textured paint -- and if you can operate a paintbrush and looped roller, you can apply the thick texture to the walls yourself. Work in 4-by-4-foot sections, and overlap each pass; refer to the product's label for drying times and specific directions. Tip: Include a putty knife or trowel in your supplies, if you want to create a knock-down finish. If you're handy with tools, build your own window shutters. 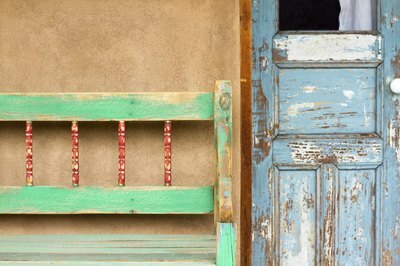 They don't have to be perfect; in fact, you'll achieve a more authentic Southwestern effect if they're slightly imperfect or distressed. For rugged weightiness, warmth and stylish creativity, craft bedroom curtains from Aztec- or Navajo-design saddle blankets hung tapestry style on swing-arm curtain rods. Pale neutral-colored sheets become suitably casual window scarves when you hang them haphazardly over iron rods. Tip: Also use durable Southwestern-motif materials to cover dining-room-chair seats, to upholster a living room accent chair or toss over the foot of the bed. 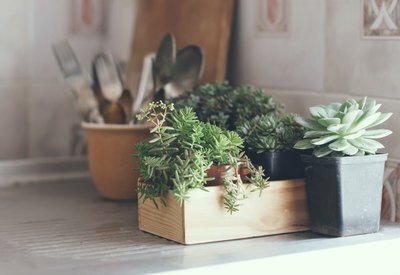 It doesn't matter whether you peruse budget home stores, flea markets, antique shops or Mother Nature's "stockpile" -- avert your eyes from anything dainty, delicate or precious. Instead, search for burl stumps or distressed saddles as DIY stool materials; twisty metal gates as headboards; worn leather sofas -- faux is fine; or mismatched vintage dining-room chairs, sporting faded paint in a variety of earth tones and cactus colors. Tell a Southwestern story with vintage, handcrafted and natural accessories. 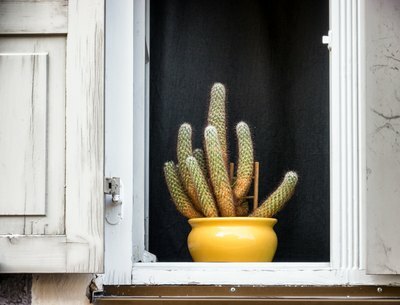 Look for ways to incorporate desert treasures, from cacti to feathers to shed snake skins into your design. Incorporate plenty of warm-colored scatter rugs and throw cushions, worn leather-bound books, driftwood, rough frames, broken clay objects, colorful mismatched tiles and even rocks into your style story for a personalized -- and penny-saving -- finish. What Is a Chimney Cabinet?